Product code: 253 Categories: Sold Items, Sold Jewellery. Made in 15ct gold, circa 1880. 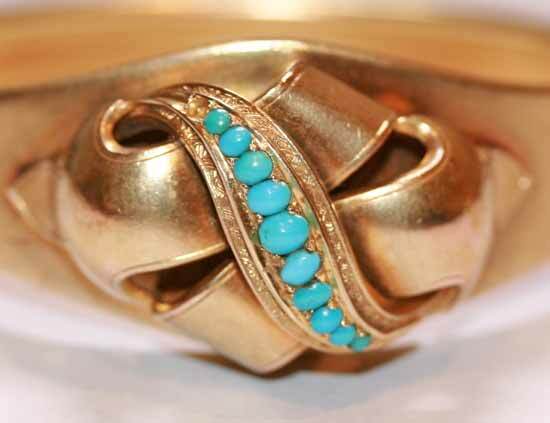 This hinged bangle is truly stunning. With such a simple yet wonderful design, this hinged bangle sits wonderfully on the wrist. 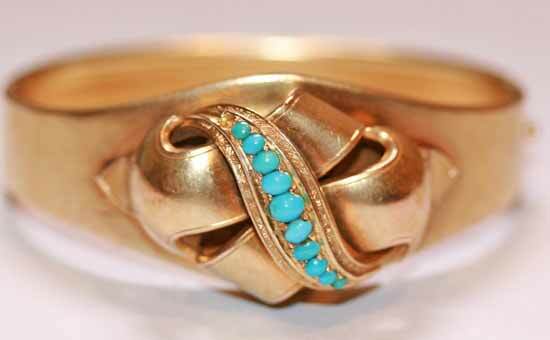 Made in 15ct gold and set with turquoise, this is a wonderful example of the styling of the 1880’s.